Northern Ireland Screen intends to run a skills development programme to attend MIPJUNIOR and MIPCOM in Cannes from 13 October to 17 October 2017. The programme will provide a training opportunity for three junior development producers, associate producers or equivalent and two children’s content developers or equivalent to experience the markets at MIP for the first time in 2017. There will also be a training opportunity for three Irish language producers to attend MIPCOM from the 15– 17 October for the first time. The aim is to encourage greater cross-collaboration between television and digital content development teams and to increase their ability to deliver content suited to the increasingly platform agnostic marketplace. 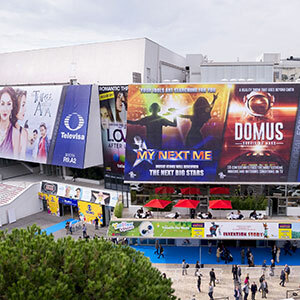 The programme will pay for the participants’ travel, accommodation and accreditation costs across two days of MIPJUNIOR and two days of MIPCOM in October 2017. MIPJunior is the world’s leading showcase for children’s and youth programming and runs for two days before MIPCom in October which is the greatest gathering in TV & Media. It’s where the industry makes deals that will shape the future, from inspiring new projects to buying next season’s hits. Together, the entertainment community creates bridges across the diverse and expanding industry, united by a passion for TV, making new connections and unlocking new business opportunities. As part of its overall remit to help grow a dynamic and sustainable screen industry in Northern Ireland, our objective through this targeted intervention is to help the participants further their skills in this arena , inform them of industry standards and requirements and network with peers and contacts, so they can compete effectively within the global industry. For full details and how to apply, please download the guidelines, application form and monitoring form below. The deadline for receipt of applications is 12 noon Friday 21st July 2017.